Come join the TERMINUS team! We are looking for volunteers and even a few paid positions (which we’ll post when available). 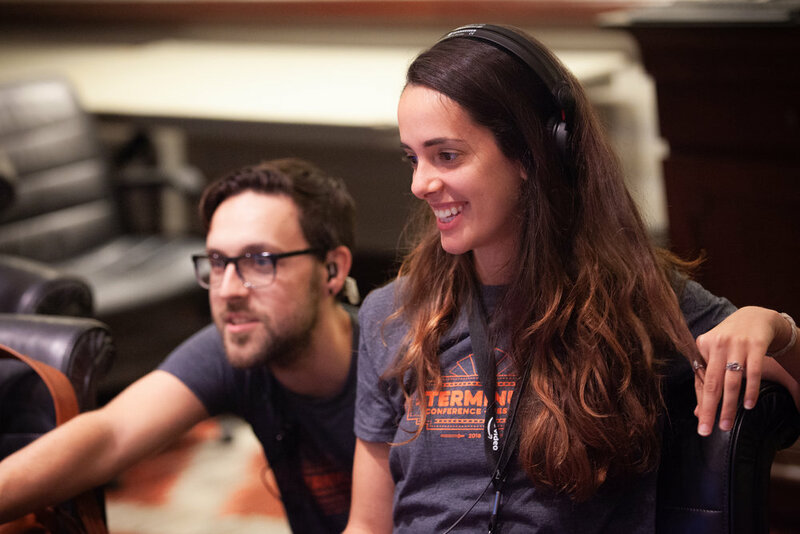 Volunteers get to work with a rad team of passionate film and video game lovers, build their resumés in events, enjoy free snacks while working, and all-access to TERMINUS events when not working. Most volunteers will work 1-2 days of the event (unless you wanna work more!) and can take the rest of the time to enjoy the panels, parties, screenings and competitions. We have four main areas we can use your awesomeness. Workshop/Theater Attendants - Attendants are one of the ever present faces of TERMINUS. They scan badges at the door, assist attendees to find the screening and workshops they are looking for, and help workshop and theater leads to keep the day running smoothly. Registration/Box Office - Registration is more than just handing out badges and selling tickets. This is where the attendee's experience at TERMINUS begins. Answering questions, making attendees feel welcomed, being organized, and offering a friendly smile are all a large part of registration. Special Events - Special Events are the people who literally get the party started. They assist in set up and break down of our parties, networking events, awards and more. During the events they help us host and behind the scenes. Operations - Operations is the backbone of TERMINUS. Without them we'd have no event. Operations assist in setting up workshop rooms, theaters, the game room & expo, parties and more. They help operations run A/V and troubleshoot issues. If you like to hustle, if you like to make events look awesome, if you're itching to put your technical skills to use, this is where you need to be. If you’re interested in volunteering for TERMINUS please fill out the form. In addition, you can send a cover letter and resume to magic8ball@terminusevent.com. We will make our best effort to place you in the positions requested, but we cannot guarantee placement. If you answered yes to the previous question, please list a few of the events. No need to go crazy if you're a veteran. We just need enough to get an idea of your experience. Any relevant skills or experiences you'd like to tell us about? How did you first hear about TERMINUS? Thank you for your interest in volunteering for TERMINUS. If you have any questions, don't hesitate to contact us at magic8ball@terminusevent.com.